For many years, the only option to replace a missing tooth or teeth, was to have either dentures or a dental bridge. Neither of these options are entirely perfect as dentures can be uncomfortable for some people and, in order to fit a bridge, it is necessary to perform work on the otherwise healthy adjoining teeth. For many, this is not an ideal situation. In fact, both of those procedures also have another disadvantage which we will come to a little later. At Foxhall Dental Surgery, we are now able to offer our patients from Ipswich and the surrounding areas, an excellent alternative in dental implants. Once fitted, dental implants are both extremely strong and should be expected to last for twenty years, and very often many more. A dental implant is a screw like device which is made from titanium. To place this, it is necessary to drill into the jawbone. Patients should not be concerned though as this is done using a local anaesthetic and is actually no more uncomfortable than other invasive procedures due to the bone containing relatively few nerves. Once the hole has been drilled, the implant will be placed into it and the gum sealed up. This is to give the implant time in which to fuse to the bone in a process known as osseointegration. Because this process means that, in effect, the bone and the implant become one, this offers an excellent strong foundation for the next stage of the procedure. Once the osseointegration process is complete, the patient will be recalled to our Ipswich dental surgery and the gum opened up to reveal the implant. To this implant, an abutment is attached which is like a small collar and used to support the final part, a dental crown. Once completed, a dental implant offers a very strong replacement for a missing or lost tooth. Currently all Implant placements are carried out in our sister practice in Chelmsford Blue Sky Dental Practice. 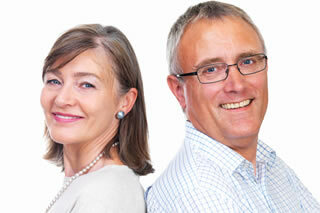 This is a specialist practice which places implants nearly every day for many years. They have a reputation in the South East of England, which is hard to match. They take referrals from more than 100 dentists across the region. The above process can take up to three to six months to allow time for the osseointegration process to complete. If a full arch of teeth is to be replaced though, a ‘same day’ dental implant procedure can used in a treatment known as “all on 4”. This involves the placement of four dental implants into the jawbone. Whilst the front two implants used are quite standard, the ones at the rear of the mouth are specially designed to go into the jaw at carefully calculated angles to provide instant stability. Once the implants have been placed, a fixed bridge is then attached and is held permanently in place by the implants. It is also possible to stabilise dentures using a method similar to this. A dental implant also has the advantage over other methods of tooth replacement in that it mimics the presence of the natural tooth root in the jawbone. Other methods such as dentures, don’t do this and the bone gradually degrades as it has no useful function to perform, i.e. no tooth root to support. This can lead to gradual disfigurement of the jaw line and the appearance of a “sunken” face.